Israeli soldiers abducted, on Thursday at dawn, three Palestinians, including a civilian guard of the Al-Aqsa Mosque, in Jerusalem, and in Hebron, in the southern part of the occupied West Bank. The Hebron office of the Palestinian Prisoners’ Society (PPS), said dozens of soldiers invaded many neighborhoods in the city, in addition to Doura, Ethna and as-Sammoa’ towns, before breaking into many homes and searching them. It added that the soldiers abducted Amjad Sa’id Amro, from Doura town, south of Hebron, and Sa’id Abu Sneina from Hebron city. 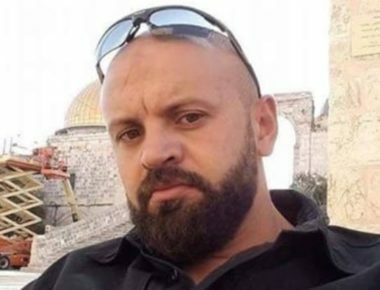 In related news, the soldiers abducted Samer al-Qabbani, a civilian guard of the Al-Aqsa Mosque in occupied Jerusalem, after stopping him near the Bab an-Nather, one of the gates of the Al-Aqsa Mosque, and took him to a police station in the Old City. Also at dawn, the soldiers abducted four young men from their homes, in several parts of Bethlehem governorate, south of occupied Jerusalem in the West Bank. In the Gaza Strip, the soldiers abducted five young men, near the perimeter fence, in Khan Younis, in the southern part of the coastal region.